Hello again fellow wine drinkers. Now that the summer heat is behind us and we have our mild winter weather, we can breathe a little easier, relax a little longer and give thanks for the family and friends we share during the holiday season. I can think of no better way to do that than with a nice bottle of wine to make the spirits bright! This month, I would like to share with you a bit of my personal history. Growing up in Northern New Jersey, I was blessed with a good sense of community and family. One particular neighbor was an executive with Mercedes Benz of North America. My father and Joe hit it off early, and many a Sunday morning was spent in the back yard with a bunch of old German men laughing, drinking beer and wine and eating wonderful breads and meats, all while solving the world’s problems in only 3 hours. My father would let me sneak some wine, and I realized very quickly that wine was a very communal beverage. Today I would like to share some history of those very same German wines that I had in my youth and still enjoy today. Germany is the 8th largest wine producing country and not quite as well known for its wine as France, Italy or Spain. But it has one significant feature that those other countries cannot deny and that is once again a geographical situation. You see, Germany is further North than most other wine producing regions of Europe. This creates the much cooler nights along the Rhine River to create a much more acidic grape which is paramount to the flavor characteristics of German wine. White wine is the predominant wine, however there are a few Spätburgunder or, as we know them, Pinot Noir wines produced as well. The most popular of the white wines in Germany is the Riesling. 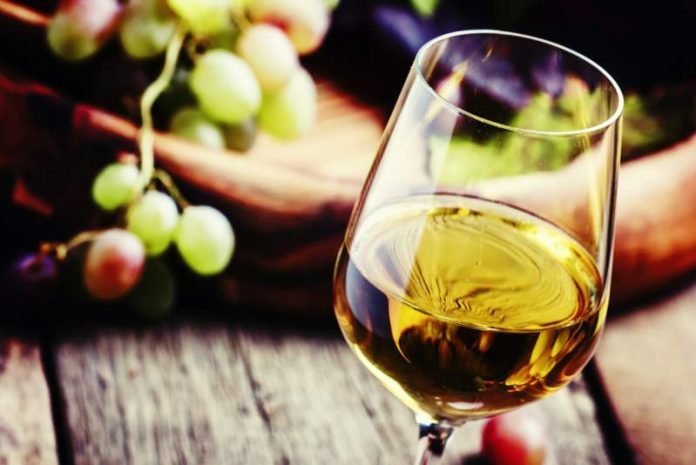 Riesling is a sweet yet drier wine than you would expect, but its higher acidity level gives it a crisp feel, with the aroma and flavors of apples and sometimes peaches. Because of its acidity, it will pair quite well with foods that are high in salt content. Some say that it pairs well with Asian foods and even French fries! I would like to meet the person who first tried that combination. I tend to steer customers towards the Riesling if they are looking for the Zinfandel just because I think it is a much better choice as it has the ability to blend better with the Italian food we serve. Just don’t tell my wife that I think she uses too much salt! Kidding of course, but still it is one German wine easily paired with our meatballs or our wood fired duck that doesn’t have that sweet linger that seems to never go away like the Zin does. So, next time you drive to your local wine shop, please ask the shop keeper about some of the white German wines they carry and which ones they would recommend. Perhaps on your way home, swing into McDonalds and ask for a large fry, extra salt, and let me know how it was! Take care and, as always, old friends and old wine always improve with age. Next articleCONGRATULATIONS TO THE 2018 BUILDERS’ SHOWCASE WINNERS!